Right or wrong? The QE bull market will last as long as the Federal Reserve keeps QE going. 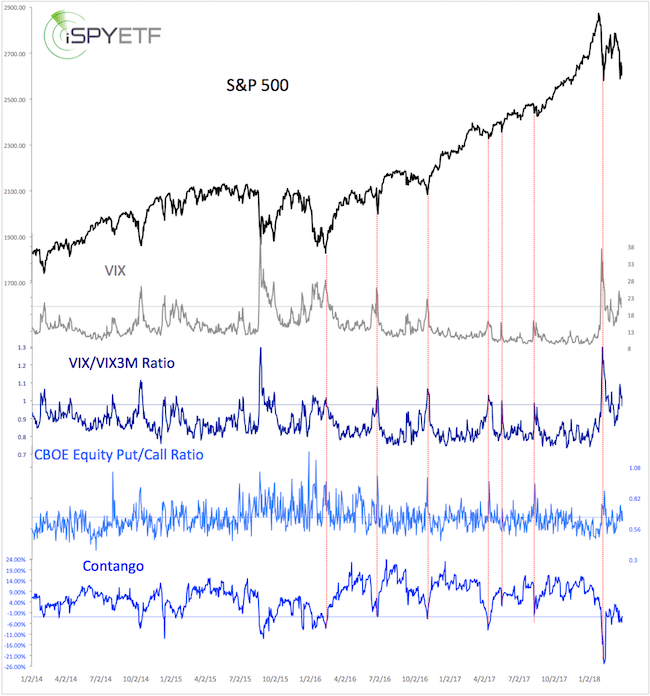 A majority of investors say ‘Yes,’ but a curiously sophisticated experiment and powerful data suggest a surprise outcome. In 2004 Daniel Simons of the University of Illinois and Christopher Chabris of Harvard University conducted a fascinating experiment. If you want to be part of the experience take a minute (it literally only takes a minute) and watch this video before you continue reading. To get the full effect, watch the video first and don’t read ahead. The experiment is quite simple. There are two groups of three people each. One group is wearing black shirts, the other group white shirts. The three people wearing black shirts are passing one ball to fellow black shirts; the ones wearing white shirts are doing the same. So there are six people, passing two balls. The assignment is to watch how many times the players wearing white, pass the basketball. It’s a simple assignment that requires some concentration and a clear mind. The answer: The white shirts pass the ball 15 times. But wait, there’s more. Many viewers get the number of passes right, but completely overlook a woman dressed in a gorilla suit. The gorilla walks slowly across the scene, stops to face the camera, and thumps her chest. Half of the people watching the video did not see the gorilla. After watching the video for a second time, some of them refused to accept that they were looking at the same tape and thought it was a different version of the video. “That’s nice, but what’s your point Simon?” Good question. The experiment was supposed to illustrate the phenomenon of unintentional blindness, also known as perceptual blindness. This condition prevents people from perceiving things that are in plain sight (such as the bear markets of 2000 and 2008). The media is busy ‘counting passes,’ or watching Bernanke’s every word and interpret even the slightest variation of terminology. The Fed’s action is the only thing that matters, but amidst ‘counting passes,’ many overlook the gorilla. 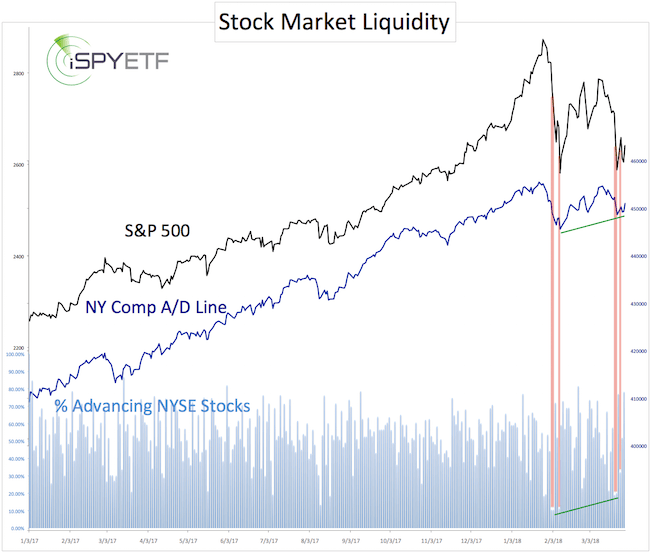 It’s believed that a rising QE liquidity tide lifts all boats. 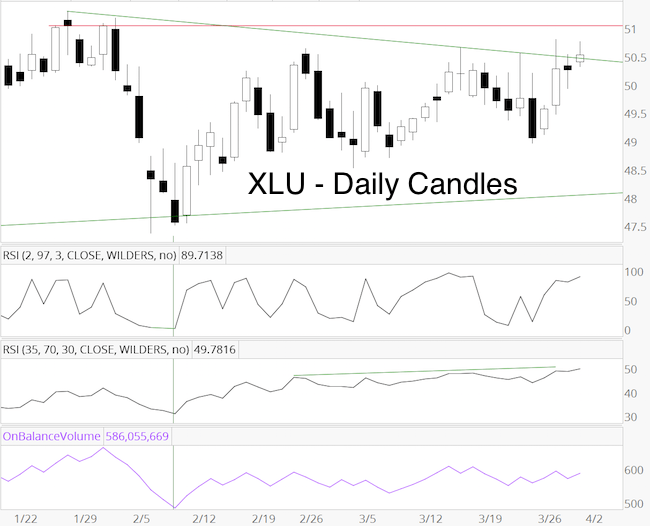 This was impressively demonstrated in 2010 and 2011 when various asset classes and commodities reached all-time highs. It only conditionally applies to 2012 and 2013 though. In 2011 gold and silver rallied to nominal all-time highs. Why? The Fed pumped money into the system (aka banks) and all that excess liquidity had to be invested somewhere, anywhere, including precious metals. Fear of inflation. Gold is known is the only real currency and inflation hedge. Silver rode gold’s coattail and became known as the poor-man’s gold. 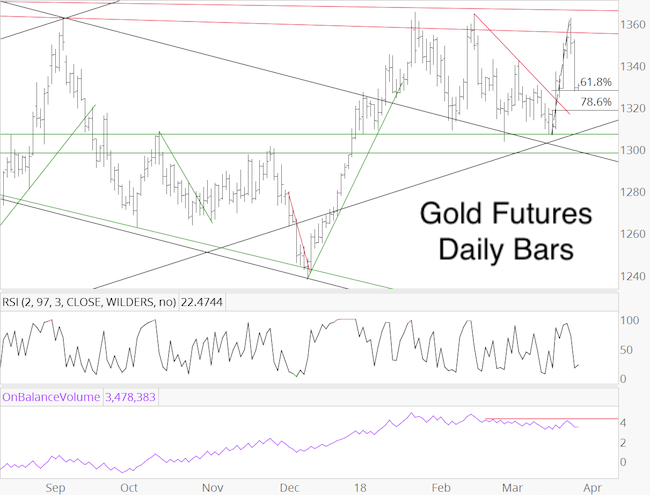 From 2008 – 2011 gold prices nearly tripled and silver went from $8.50 to $50/ounce. 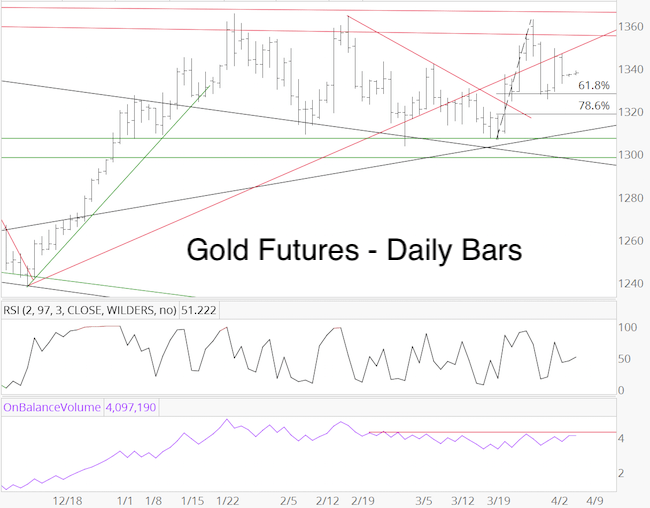 Since its 2011 high, the SPDR Gold Shares ETF (NYSEArca: GLD) has fallen as much as 38.29% and the iShares Silver Trust (NYSEArca: SLV) was down as much as 63.41%. This doesn’t make (conventional) sense or does it. QE or the fear of inflation didn’t stop in 2011. In fact, QE (and the associated risk of inflation) is stronger than ever. 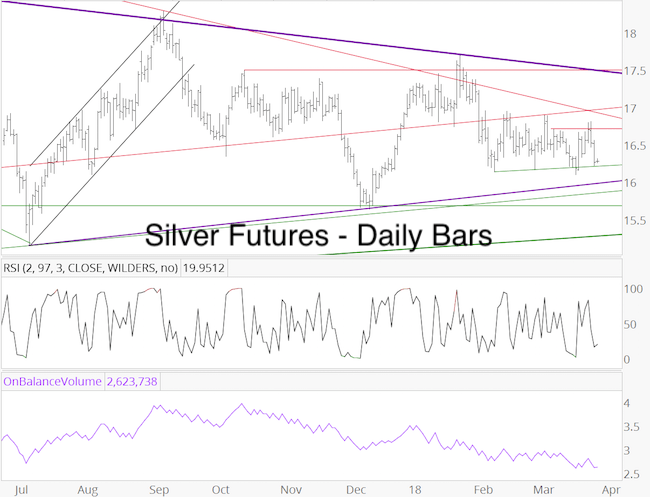 Based on the above rationale, the gold and silvers meltdown is inconceivable and unexplainable. Initially QE was limited to government bonds or Treasury bonds. In other words, the Federal Reserve would buy Treasuries of various durations from banks and primary dealers with freshly printed money. The Fed would pay top dollars to keep Treasury prices artificially inflated and interest rates low. With that thought in mind, take a look at the iShares 20+ year Treasury ETF (NYSEArca: TLT) chart above. From the May peak to June trough TLT tumbled 14.56%, more than twice as much as the S&P 500 (7.52%). QE doesn’t always work and can misfire badly. We don’t see every gorilla (or looming bear). All this doesn’t mean that the market will crash tomorrow. 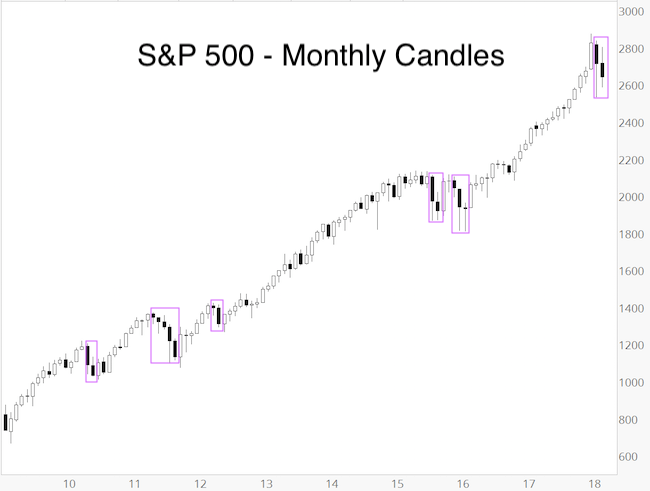 In fact, the stock market doesn’t exhibit the tell tale signs of a major top right now and higher highs seem likely. Unintentional blindness is real and often magnified by the herding effect. The investing crowd (or herd) is convinced that stocks will go up as long as the Fed feeds Wall Street. 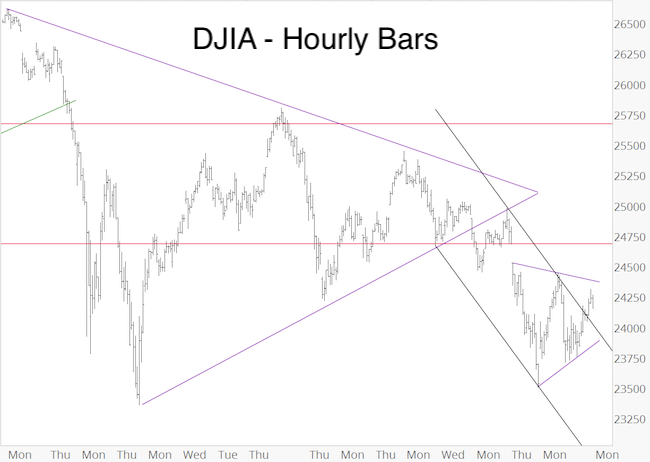 The above charts suggests that we shouldn’t follow this assumption blindly. 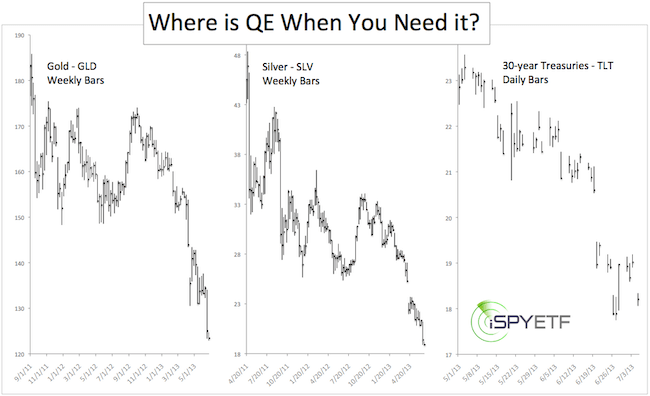 Operation Twist about to Expire – Will it be Replaced by Outright QE? The Federal Reserve’s $45 billion a month Operation Twist program is scheduled to expire at the end of this month. Based on the sound bites of several Reserve presidents, there will be a replacement. 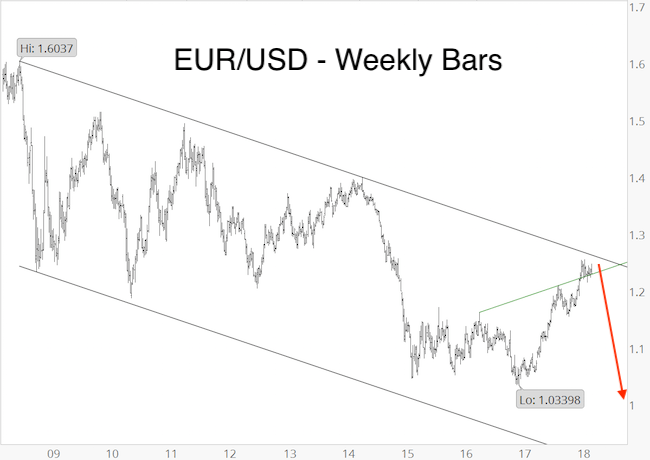 Will it be more outright QE? Operation Twist is circling the drain, set to expire on December 31, 2012. Will Operation Twist be extended or even be replaced by outright QE? What’s the difference between Operation Twist and Quantitative Easing (QE)? Since September 2011, the Federal Reserve has been buying about $45 billion of longer-term Treasuries per month with the proceeds from sales of a like amount of shorter-term debt. 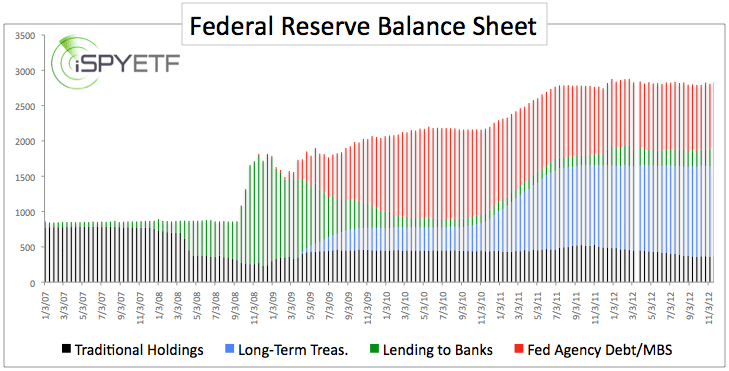 Unlike outright QE purchases, the Operation Twist asset reshuffle does not add to the Fed’s balance sheet. Will Operation Twist be Replaced by Outright QE? Boston Federal Reserve Bank president Eric Rosengren, one of the most vocal proponents of Fed asset purchases, advocates to continue spending $45 billion a month buying long-term Treasuries. St. Lois Federal Reserve Bank president James Bullard has a different opinion. He said that the expiring Operation Twist program should not be replaced on a dollar-for-dollar bases, because asset purchases that expand the balance sheet (like QE) have a bigger effect than Twist. So far the Federal Reserve has purchased about $2.4 trillion worth of government bonds and mortgage-backed securities. During QE1, the Fed spent about $78 billion a month. During QE2, the Fed spent about $75 billion a month. During QE3, the Fed is spending about $40 billion a month. 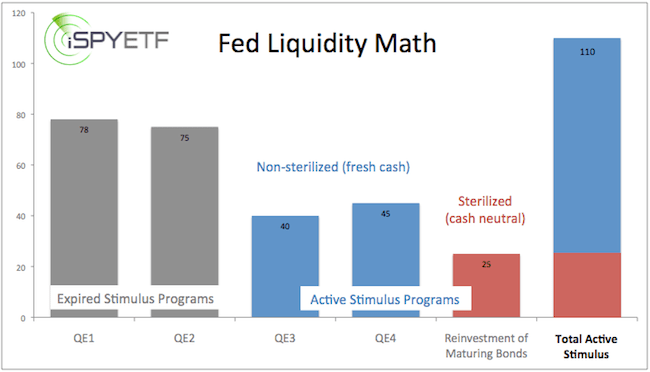 Concurrent to QE2 and QE3 the Fed is reinvesting the proceeds of maturing securities. Based on a balance sheet of $2.4 trillion, this is a significant amount. Abount $25 billion a month. For the month of December, the Fed will spend about $65 billion buying Treasuries and mortgage-backed securities. This is “new” money. An additional $45 billion of the proceeds from selling short-term Treasuries is re-invested in long-term Treasuries. 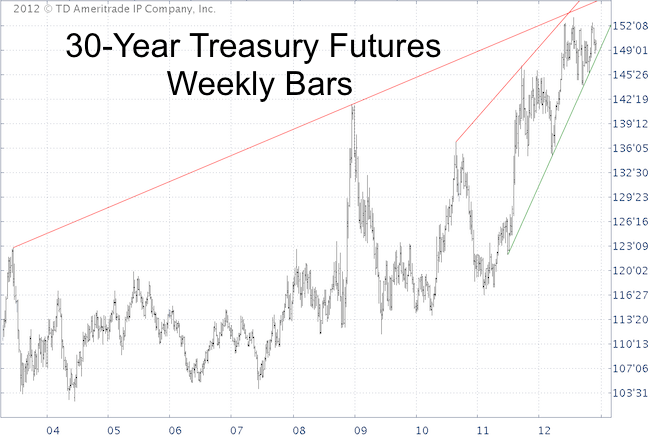 What does all of this artificial demand for long-term Treasuries mean for Treasury prices and corresponding ETFs like the iShares Barclays 20+ year Treasury Bond ETF (TLT)? It appears that the effect of QE3 on Treasury prices has been muted. It certainly hasn’t driven prices up as should be expected. 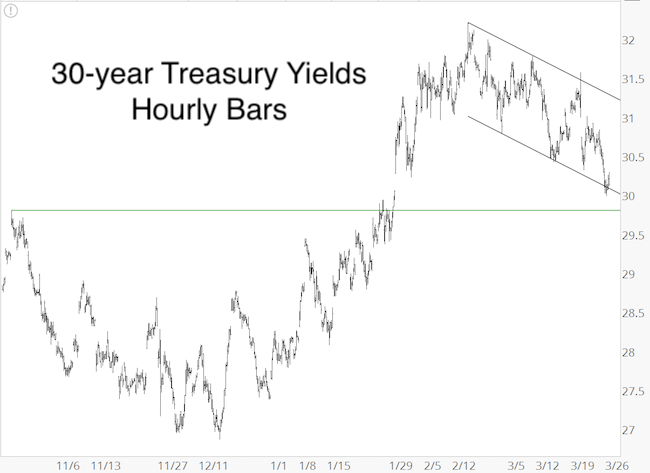 In fact, 30-year Treasury prices have been stuck in a trading range capped by two long-term resistance lines and buoyed by an 18-month support line. 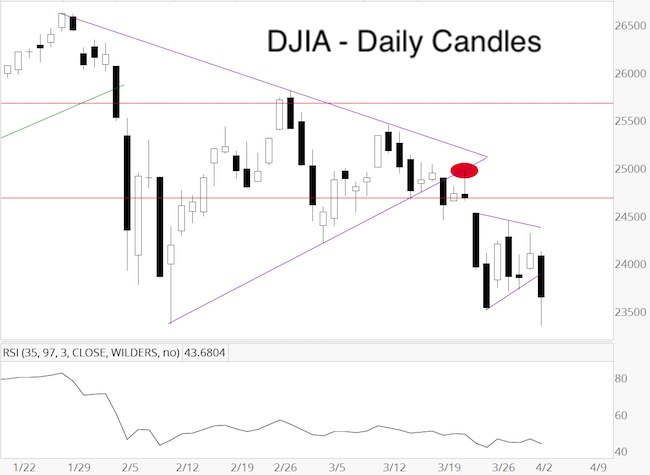 As long as prices remain in that range the stalemate is likely to continue. 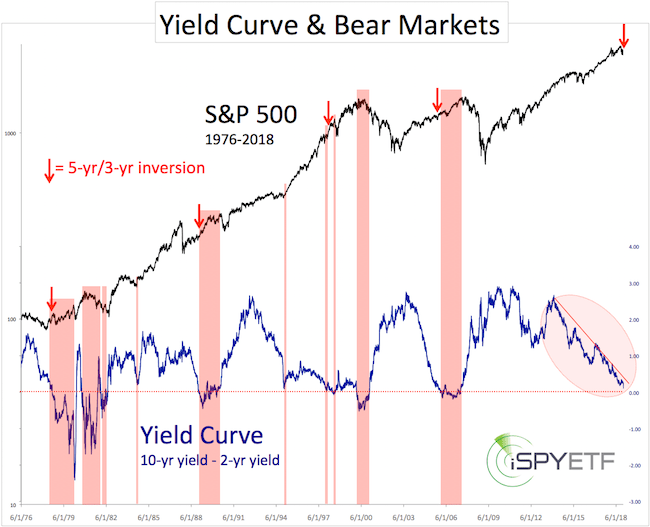 With strong seasonality for stocks straight ahead (and an inverse correlation between stocks and long-term Treasuries), I assume that price will break down. 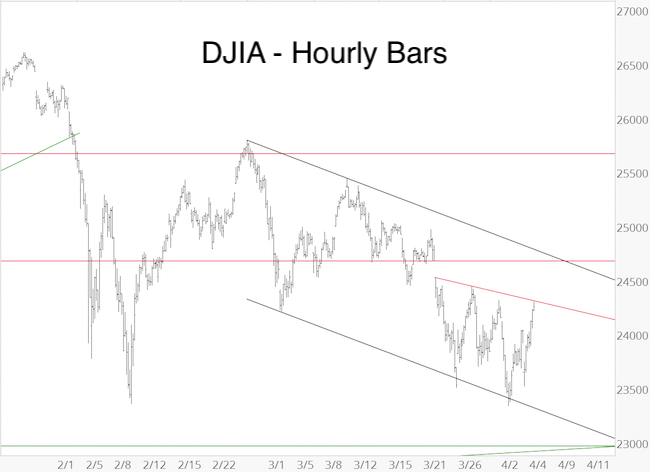 Is QE3 a Big Fat Buy Signal for Stocks? It’s official, QE3 is here. Unlike QE1 and QE2, which had a predetermined ceiling and expiration date, QE3 is open ended. The Federal Reserve pledges to buy $40 billion worth of mortgage backed securities (MBS) per month for as long as it takes. 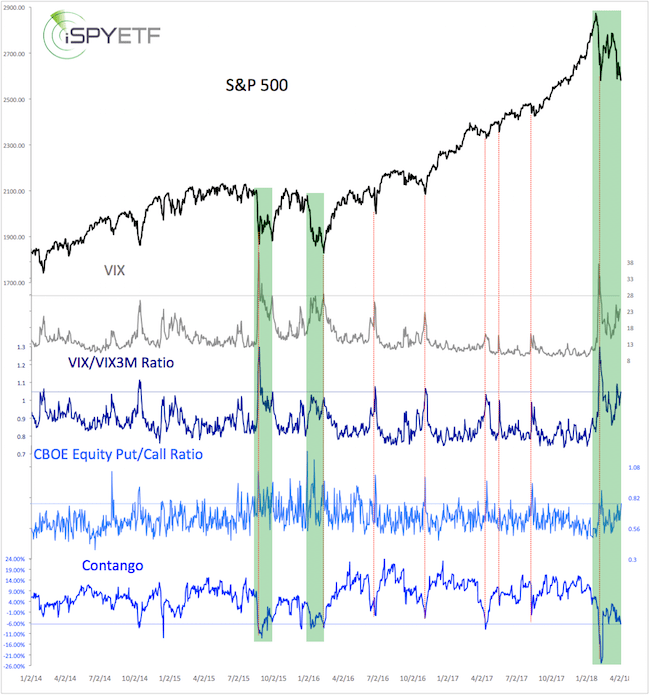 Investors got what they wanted, so is this a big fat buy signal for the S&P 500, Dow Jones, gold, silver and all other assets under the sun? To answer this questions we will analyse the effect of previous rounds of QE on stocks (some of the details may surprise you) and compare the size of QE3 to its predecessors. 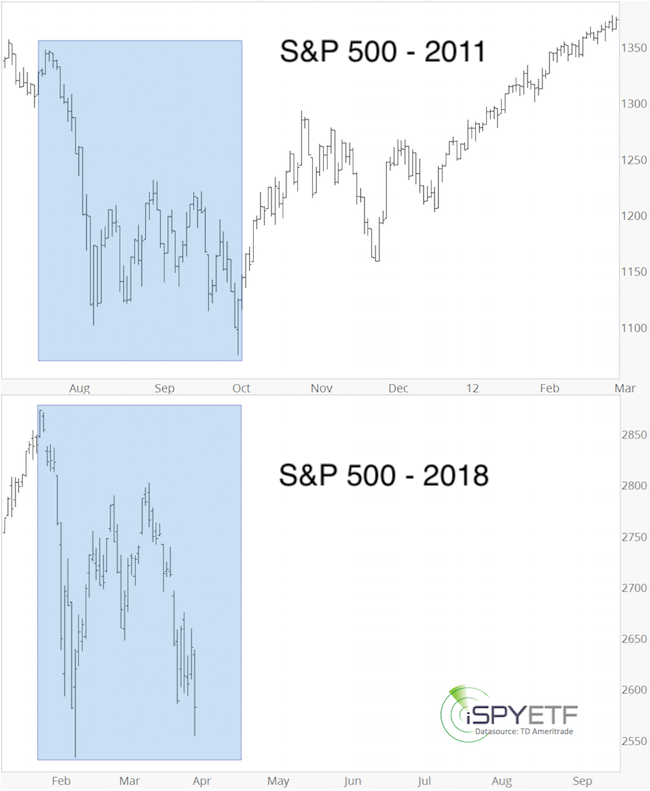 Just like snowflakes, no day in the stock market and no version of QE are alike. Nevertheless, a better understanding of QE1 and QE2 may offer truly unique iinsight about QE3. 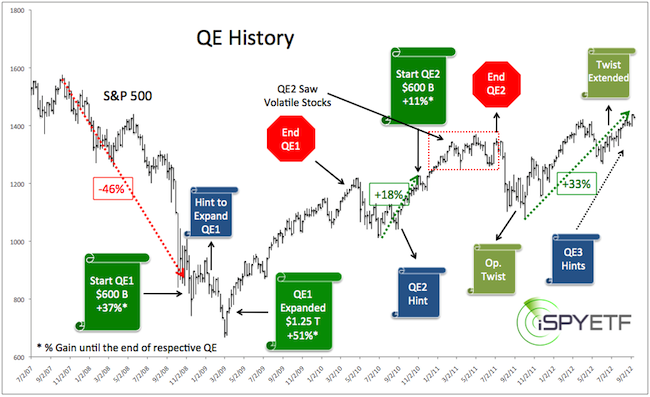 The chart below provides a detailed history of QE and Operation Twist (detailed dates are provided below). 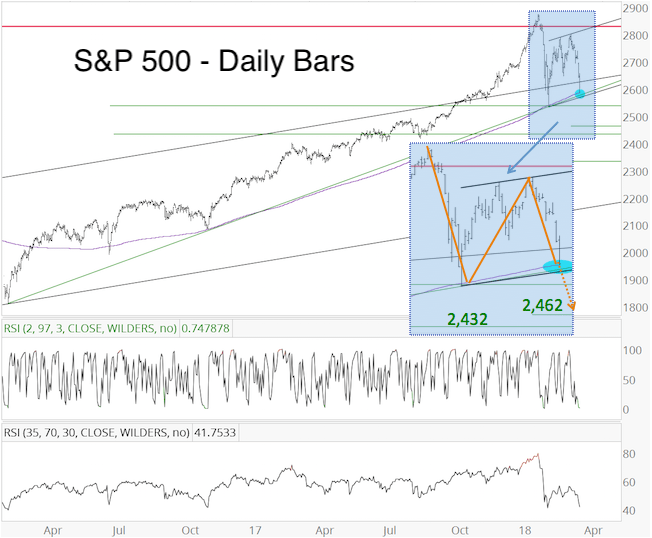 The S&P 500 (SPY) dropped 46% before the first installment of QE1 was announced (the Financial Select Sector SPDR ETF – XLF – was down 67% at the same time). By the time QE1 was expanded the S&P was trading 51% below its 2007 high. 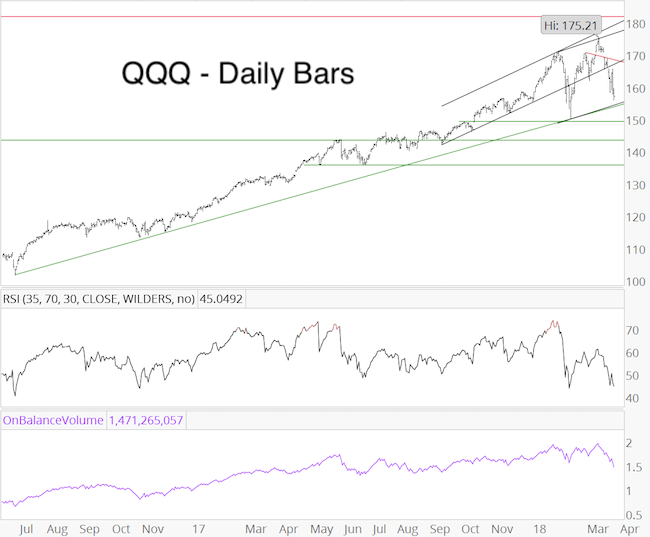 Even without QE1 stocks were oversold and due to rally anyway (I sent out a strong buy alert on March 3 to subscribers on record). One could say that the Fed’s timing for QE1 was just perfect. 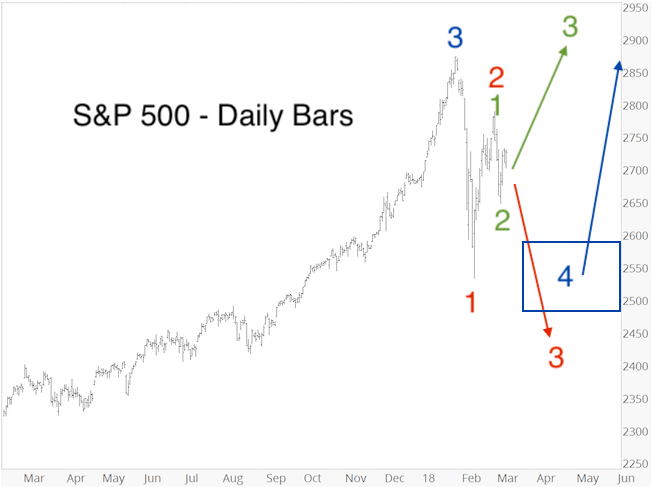 The S&P rallied 37% from the first installment of QE1 (Nov. 25, 2008) and 51% from the expanded QE1 (March 18, 2009) to the end of QE1 (March 31, 2010). The S&P lost 13% from its April 2010 high to August 28, the day Bernanke dropped hints about QE2 from Jackson Hole. The S&P rallied 18% (from the July low to November 3) even before QE2 was announced. The market was already extended when QE2 went live, but was able to tag on another 11% until QE2 ended on June 30, 2011. 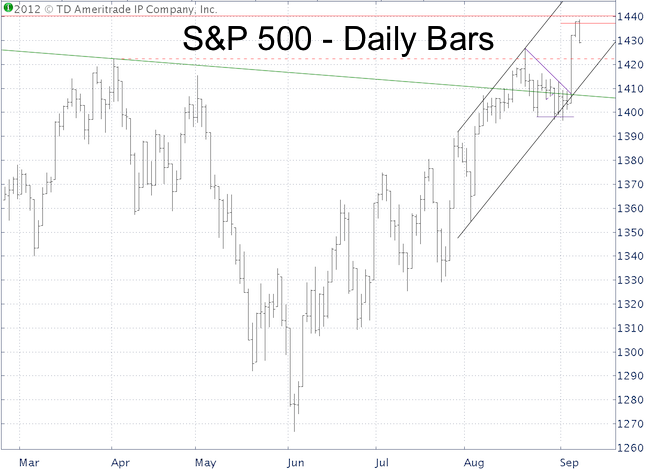 Even before QE3 goes live, the S&P has already rallied 33%. 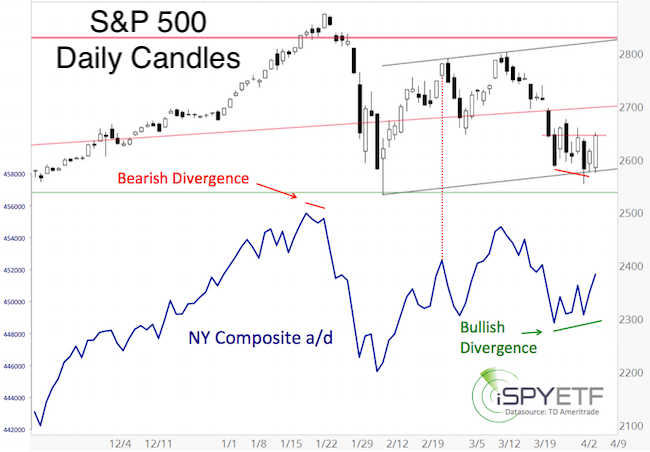 Although the S&P saw a technical break out when it surpassed 1,405, the current rally is in overbought territory. 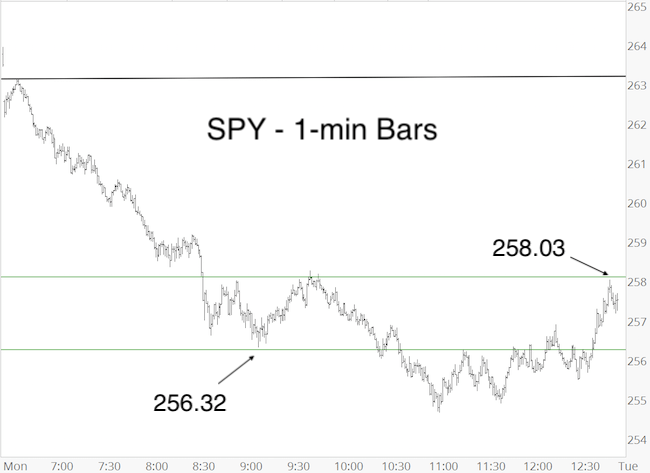 The timing for QE1 was great and the S&P rallied 37 – 51%. 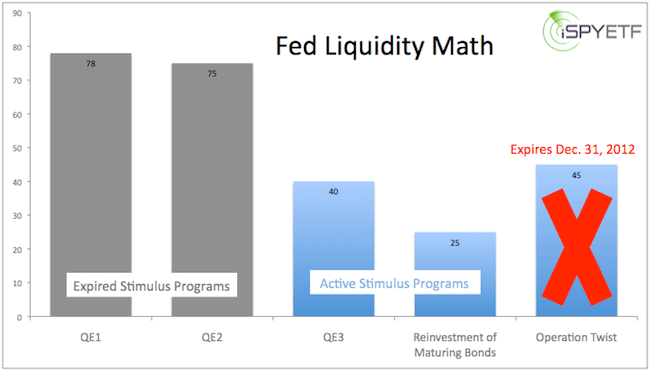 QE3 doesn’t have an expiration date, but is limited to $40 billion a month. During QE2 the Fed spent an average of $75 billion a month on bond purchases in addition to the $22 billion of reinvested matured bonds. 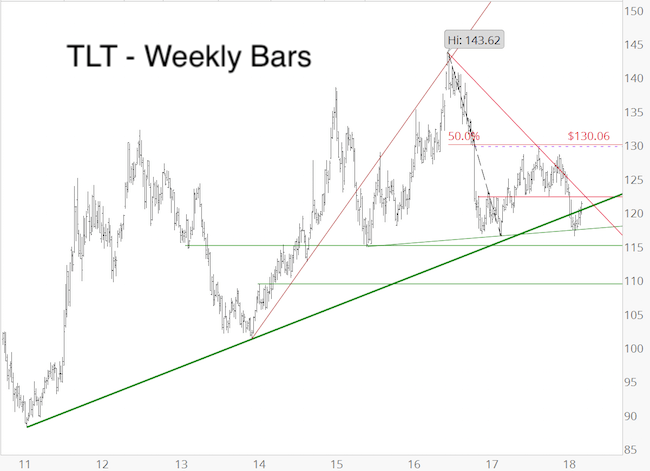 Operation Twist is still active, where the Fed is selling about $40 billion of short-term Treasury bonds in exchange for long-term Treasuries (related ETF: iShares Barclays 20+ year Treasury ETF – TLT). In summary, the timing for QE3 is less than ideal, the committed amount is less than during QE1 and QE2, and QE2 has shown that stocks can decline even while the Fed keeps its fingers on the scale. QE3 may not be as great for stocks as many expect and rising oil prices may soon neutralize the “benefits” of QE3. November 25, 2008: QE1 announced. Purchase of up to $100 billion in government-sponsored enterprises (GSE), up to $500 billion in mortgage-backed securities (MBS). January 28, 2009: Ben Bernanke signals willingness to expand quantity of asset purchases. March 18, 2009: Fed expands MBS asset purchase program to $1.25 trillion, buy up to $300 billion of longer-term Treasuries. This week is jam-packed with news. Apple, Bernanke, and Germany’s Constitutional Court are slated to make potentially market-moving announcements. Here’s one simple technical tip that will help navigate a confusing situation. What does Apple’s Tim Cook, the Fed chairman Ben Bernanke, and Germany’s Constitutional Court have in common? They are all expected to announce much anticipated news this week. Apple is putting the finishing touches on the Yerba Buena Center for the Arts in San Francisco. That’s where a select few will (or are expected to) lay eyes on the new iPhone 5. Apple shares (AAPL) didn’t quite reflect fans’ excitement as shares dropped 2.6% on Monday. 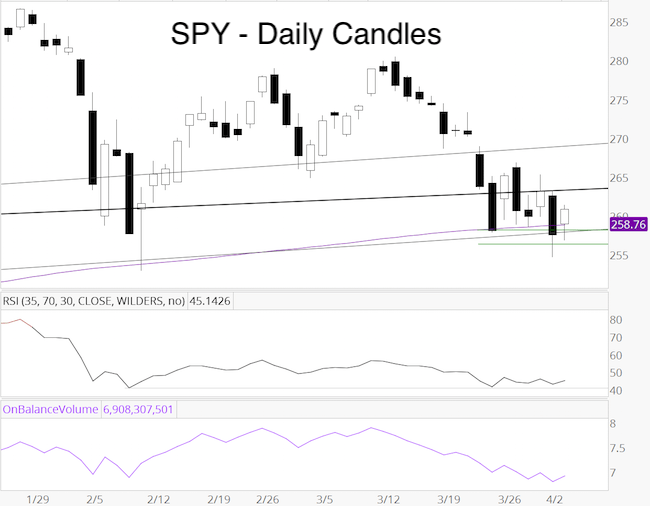 This drop triggered a bullish percentR low-risk entry against the 20-day SMA. 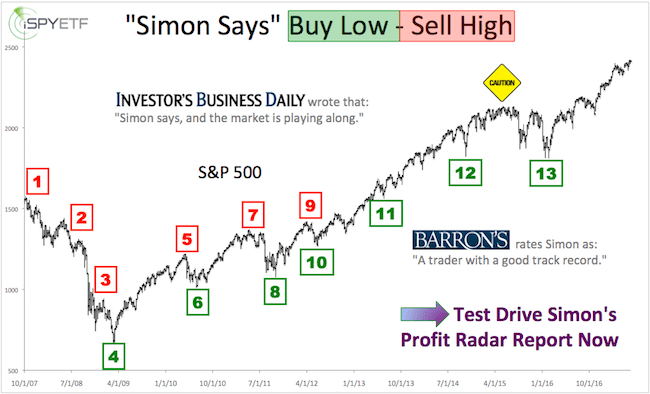 Just because this is called a “bullish” low-risk entry doesn’t mean it’s time to buy. Apple shares tend to move higher when new products are revealed and correct thereafter (with the exception of the April 2012 iPad 2 unveiling, which coincided with a larger drop, instead of a rally). 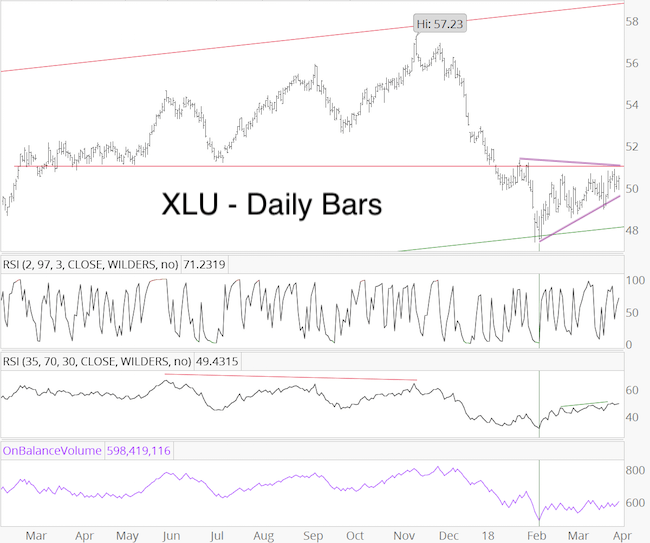 A rally parallel to Apple’s event would likely provide a good set up to sell AAPL shares. A drop below the percentR trigger level will also suffice if we don’t see the customary Apple release spike. Short selling a stock is not for everyone. 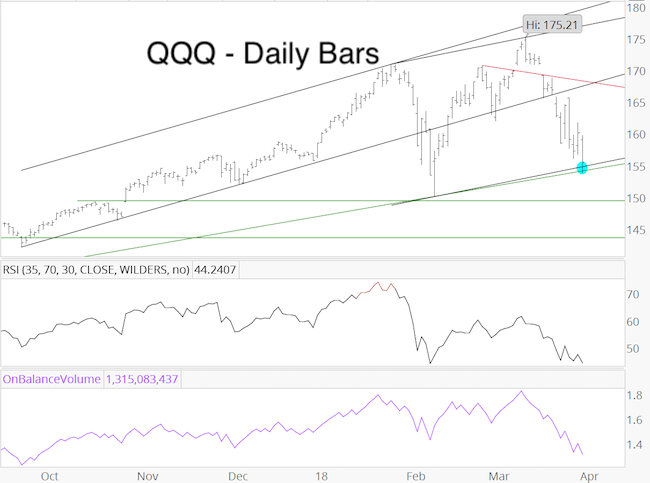 But Apple accounts for 20% of the Nasdaq-100 index (corresponding ETF: PowerShares QQQ) and shorting the Nasdaq-100 via short ETFs like the Short QQQ ProShares (PSQ) is a more accessible way to benefit from falling Apple prices. The European Stability Mechanism (ESM) is the facility anointed to distribute European “bailout cash” to struggling euro zone members. The ESM has many flaws (one of them is lack of funding) and one of them may prevent its VIP from playing “money ball.” The German Constitutional Court will rule over the legality of participating in the ESM on Wednesday. Thursday, September 13. 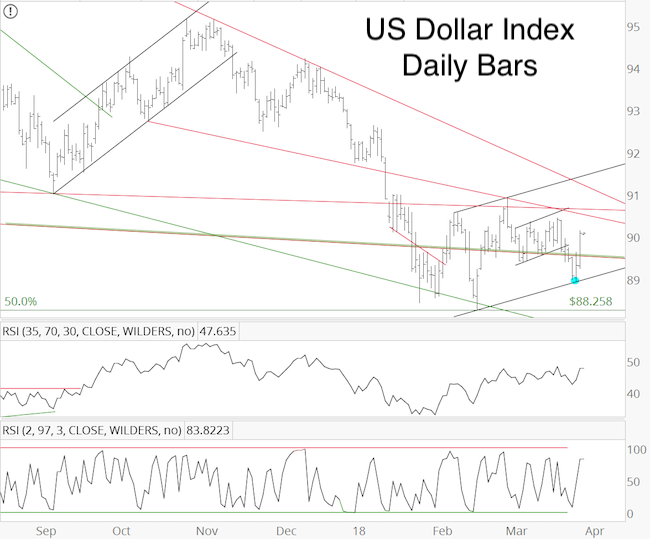 FOMC and QE3? The Federal Open Market Committee (FOMC) will meet Wednesday/Thursday this week. 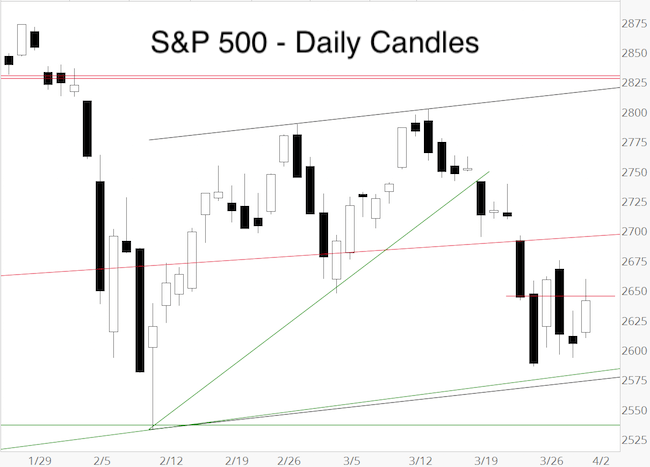 The S&P 500 Index (SPY) is points away from a 55-month high and I don’t think that launching QE3 right now makes sense, but I don’t know what’s going on behind closed FOMC doors and the general consensus is that the Federal Reserve will announce QE3 on Thursday. 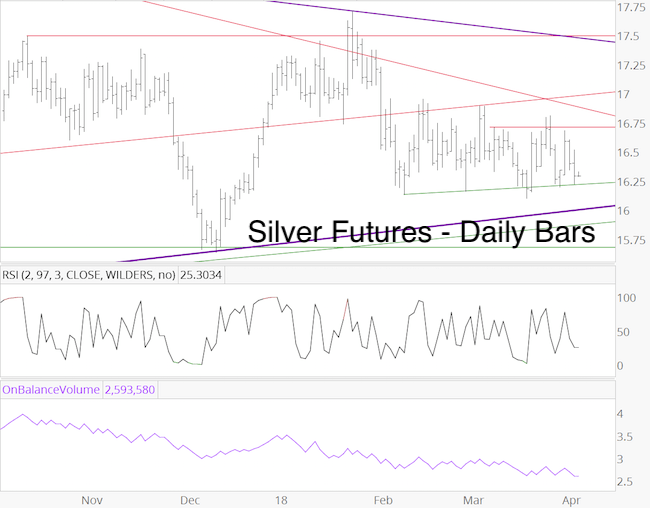 Similar announcements have resulted in large moves for stocks, Treasuries, currencies, gold and silver. 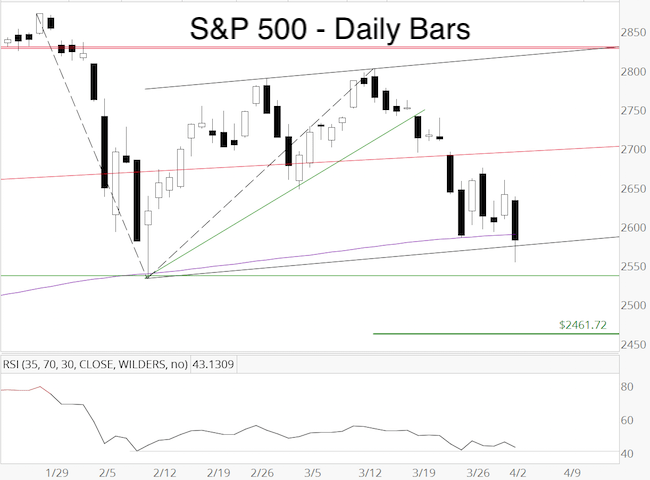 What does the S&P 500 chart tell us about stocks? If the chart could talk it’d say that now is “rubber meet the road” time. 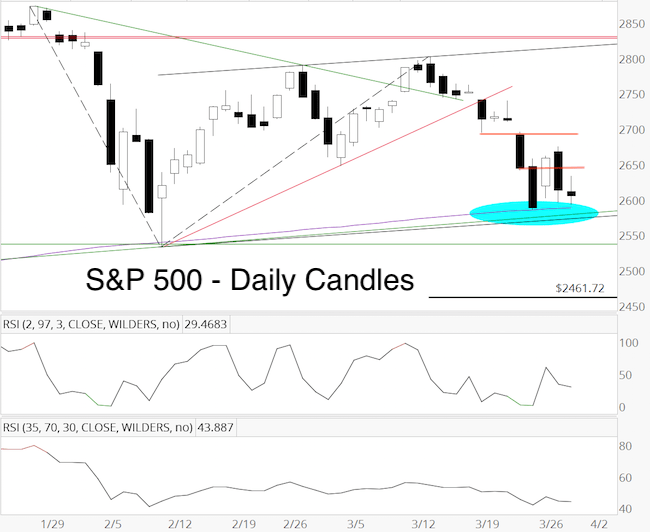 The S&P is close to key resistance at 1,440 (this month’s r1 is at 1,437) which the Profit Radar Report has been harping about. 1,440 is the most important resistance in the neighborhood. 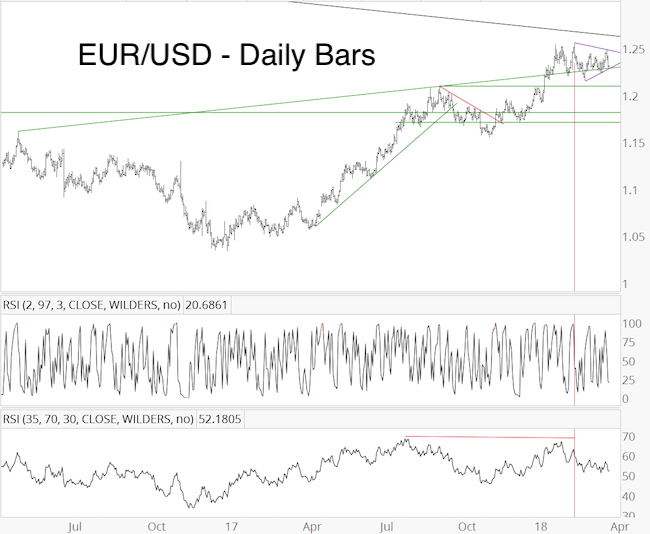 It separates bullish bets from bearish ones and provides directionally neutral low-risk trade opportunities (my bias is to the down side, which may require waiting for a spike above 1,440 followed by a move below). Various news events suggest that this week is important. 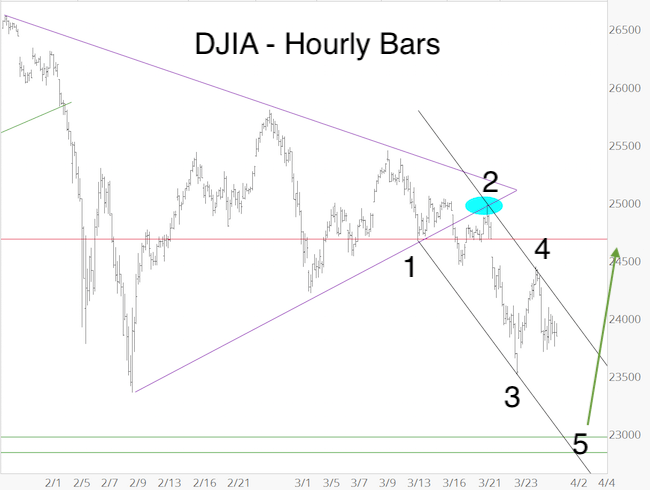 Technicals agree. 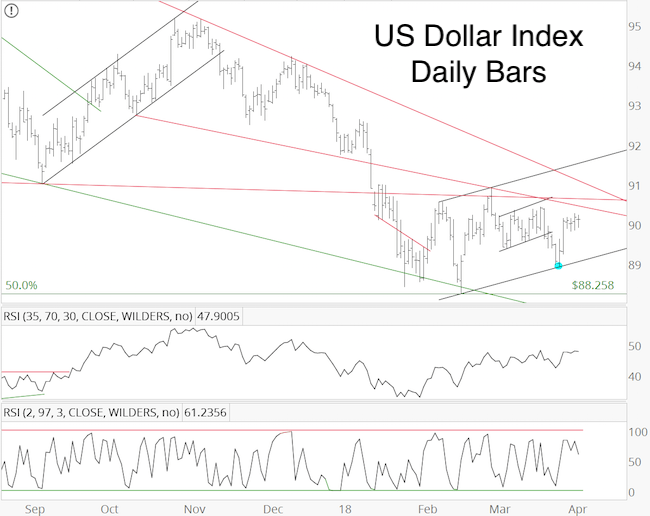 Use important support/resistance levels to put the odds in your favor.